As more large hotel chains have invested their time, money and energy in launching their own direct-booking campaigns, online travel agency sites such as Expedia have become increasingly eager to form better deals and relationships with hoteliers. 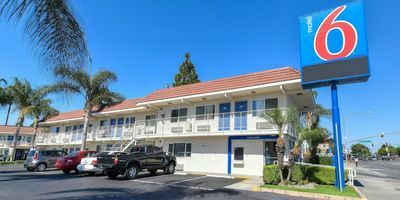 To that end, Expedia recently announced that it has signed a deal with the parent company of Motel 6 that will give access to its lower loyalty member rates, and will also sign up the users of the Expedia site to the chain's existing loyalty program. This marks the second such mutually beneficial loyalty enrollment agreement that Expedia has entered into with a hotel chain, with the company's first foray into such deals coming between it and Red Lion's parent company. This is all part of Expedia's ongoing work to lessen the effects of the aforementioned large chain direct booking campaigns. Motel 6's parent company is actually G6 Hospitality, which is also the parent of the similarly named Studio 6. All told, the company has 1,400 properties spread throughout the United States and Canada. The new deal with G6 Hospitality is actually similar to the one that Expedia previously signed with Red Lion Hotels, known now as RLH Corp. The first deal was signed back in August 2016. As with the G6 Hospitality deal, the Red Lion Hotels deal saw that company giving Expedia its member only rates, which are, of course, lower than the normal rates that Expedia would otherwise have access, and in exchange for this access, Expedia agreed to sign up customers that were booking accommodations at the chain's properties through its site to the RLH loyalty program. Expedia has so far noted that the newer deal is actually more comprehensive than the first, with Motel 6 and Studio 6 participating at the corporate level in Expedia Media Solutions advertising programs. G6 Hospitality will also benefit from having access to Expedia's analytics and data insights, which it can use to improve efficiencies and also to drive incremental bookings. Both companies have said in the aftermath that the agreement constitutes an initial phase in what will then become a much larger and more sweeping strategic relationship between the two brands, both of which are known and significant in the hospitality space, especially in North America. Details are, of course, still coming into focus, but future initiatives are said to include G6 Hospitality potentially using Expedia's digital revenue management tools, which have great benefits on the backend of hotel operation systems.